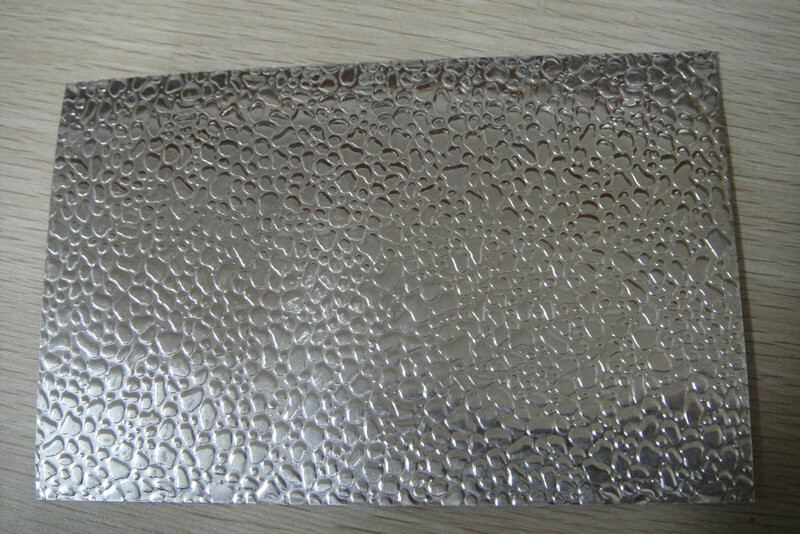 The stucco embossed aluminum sheet is the special product of the Haomei Industrial Co., Ltd. The stucco embossed aluminum sheet can be made from many kinds of alloys such as the 1050, 1060, 1100, 3003, 3004, 5052, and the 3004 stucco embossed aluminum sheet is made of the 3004 alloy. The thickness of the stucco embossed aluminum sheet is 0.2 ~ 3 mm, and the width is 500 ~ 1500 mm. It can be applied in many places no matter in the industry or in the daily life, and it is decorative, which can be used in the decoration. There are many series of stucco embossed aluminum sheet, and different series are of different character, and the clients may choose the according to their demand.